Guaranteed to put every look in the spotlight, Michael Kors’ coveted collections are world renowned for their innate sense of glamour and timeless chic. Going for all-out sophistication, this new collection of sterling silver and 14ct gold and rose gold plated jewellery goes the extra mile when it comes to showing off your trendsetting sense of style. Yes, we’re a little bit in love; so let us introduce you to our favourites. Every girl’s best friend, you can’t go wrong with a fabulous pair of earrings. Perfect for achieving easy, everyday glamour, just style yours with tied-back hair to show them off to their full potential. Elevating this signature style with a luxe gold plated finish and a dazzling row of cubic zirconia, these Mercer Link earrings are the hoop earrings to be seen in this season. 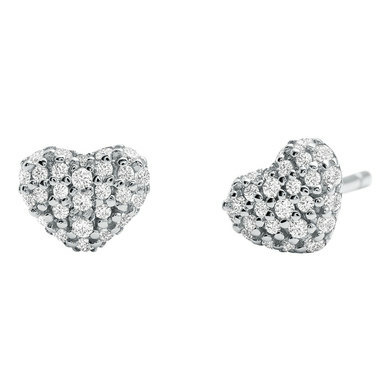 The perfect finishing touch every day of the week, these adorable heart-shaped earrings are the definition of relaxed glamour. The key to every stylish look, these must-have Custom Kors earrings will ensure you retain your fashion-icon status, whilst adding a touch of luxury with their 14ct rose gold plated finish. Giving the trend for layering bracelets a whole new lease of life, take it easy by wearing just one by day, before going for all-out wrist-appeal after dark with a bracelet stack that puts glamour back in the spotlight. An eye-catching style that is certain to become an every day favourite, we love the modern pairing of sterling silver with the regal tones of blue quartz on this Kors Colour bracelet. Crafted from 14ct gold plated sterling silver, this distinctive bracelet features the iconic Michael Kors Mercer lock and is guaranteed to see your style credentials soar. 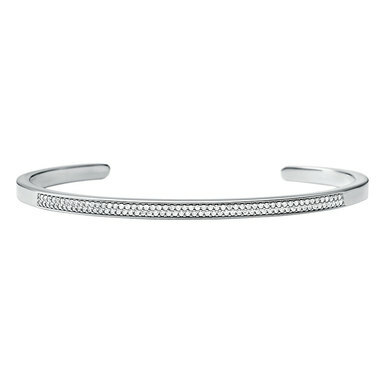 Perfect for creating your own unique style, add your favourite insert bangle to your nesting bangle for instant personalisation. Just right for changing-up any look, the new Michael Kors rings are dainty enough for achieving understated chic; whilst being bold enough to make a dramatic statement when stacked together. The faceted black onyx stone stands out perfectly against the 14ct gold plated band in this Mercer Link ring. We love the fun style of this rose gold plated cubic zirconia ring. Perfect for leaving a lovely bit of sparkle everywhere you go. Designed to see you sparkle every day of the week, give your outfit even more finesse with this Mercer Link ring in polished sterling silver and glittering cubic zirconia. Make every hour the golden hour with pendants designed to be seen in. Whether it’s rose or yellow; all you need to do to lead the trend this season is to go for gold. This elegant padlock pendant with a polished 14ct rose gold finish gives trendy rose quartz all-year-round designer style-appeal. Prove that two hearts are better than one with this layered heart pendant in luxury gold plated sterling silver and glittering cubic zirconia. A chic stand-out style which is perfect for transforming your off-duty wardrobe, this striking 14ct gold plated necklace will help you make the ultimate fashion statement. Guaranteed to bring out your playful side, this luxurious charm collection is perfect for expressing your unique and fashionable sense of style at every opportunity. 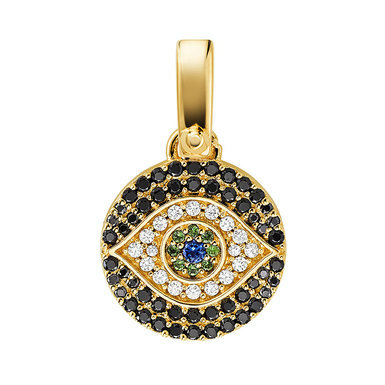 Made from 14ct gold plated sterling silver, this eye-catching charm casts a spell with glittering black, clear, green and blue stones in an ‘evil-eye’ design. 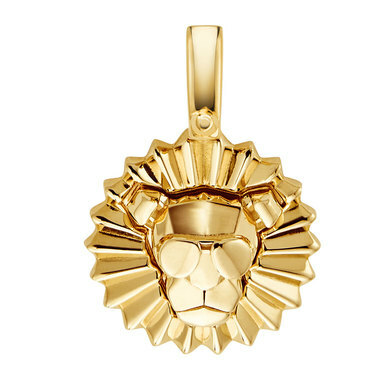 How could your look be anything other than fierce with this stunning gold plated Lion Head charm? We think it’s roarsome! 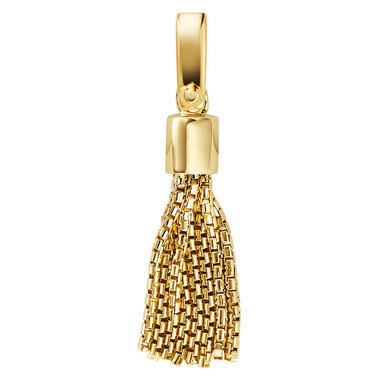 Giving a stylish twist to this season’s hottest trend, this 14ct gold plated Tassel charm is what every fashionable jewellery box is calling out for.